Just saw this today over on the LEGO GosSIP blog. The picture is actually good quality to make out a few details (I was a little surprised at that). One of the things that made me laugh out loud was the jester heads and the gold bricks -- 'cause you know everyone will want jester heads! 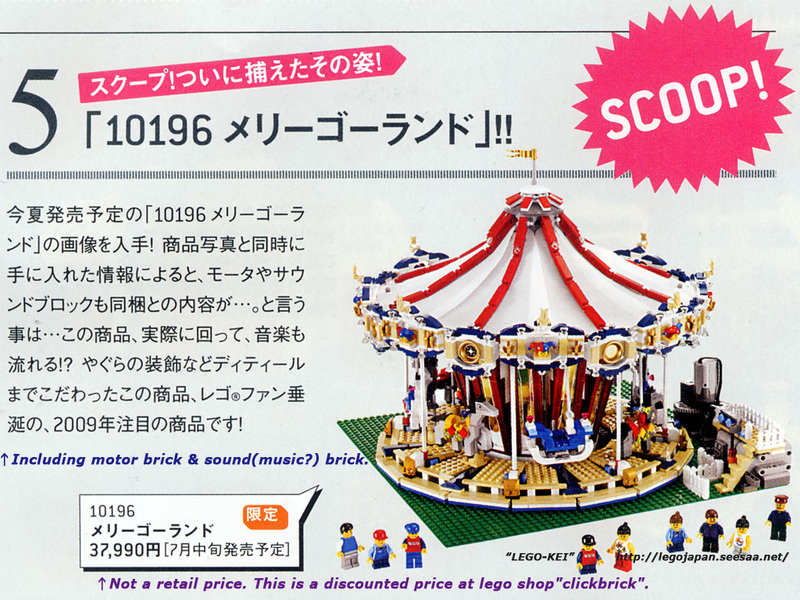 If LEGO keeps the price around the same as the #4957 Ferris Wheel, I think we'll have a winner... Otherwise, my guess is around $250 with minifigs as shown, or $150 without. What you'r guess?